The Manoir de Paris has a unique adventure for you in a scary atmosphere. Located right in the heart of the 10th arrondissement of Paris, in the prestigious setting of a listed town house, the Manoir de Paris is one of the top haunted attractions in France. It offers an exceptional theatrical adventure, with thrills and entertainment guaranteed. Even better than a theme park and much more bewitching than a museum, this unique new place will delight lovers of spine-tingling excitement. Become the victim of the dark history of the City of Light: the Hunchback of Notre-Dame, the Phantom of the Opera, the cemetery of Père Lachaise, le Barbier Sanguinaire. If by chance you have survived the monsters on the first two floors, become the guests of the third and last floor: the Royal Paradise Hotel! A mansion where you encounter those who hide in the shadows of its corridors. The Manoir de Paris is an interactive trail on 3 levels over some 1,500 m². 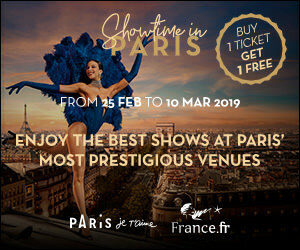 Experience a unique adventure and discover the legends of Paris brought to life by more than thirty professional actors. The adventure begins in the entrance hall, where monsters give the public a fright offering a foretaste of what awaits them. The adventure continues behind the thick curtain of fringed black velvet that gives access to the interactive tour, ending on the 3rd floor of the Manor. - The guided tour is available in English.